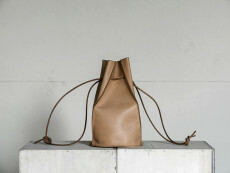 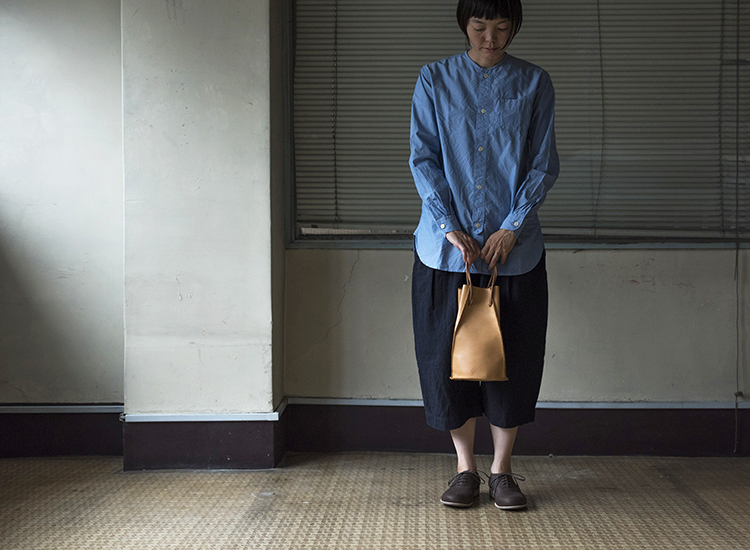 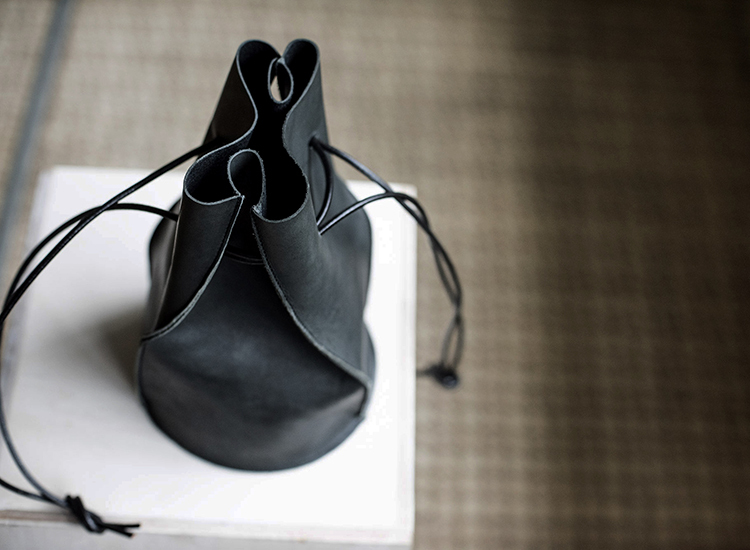 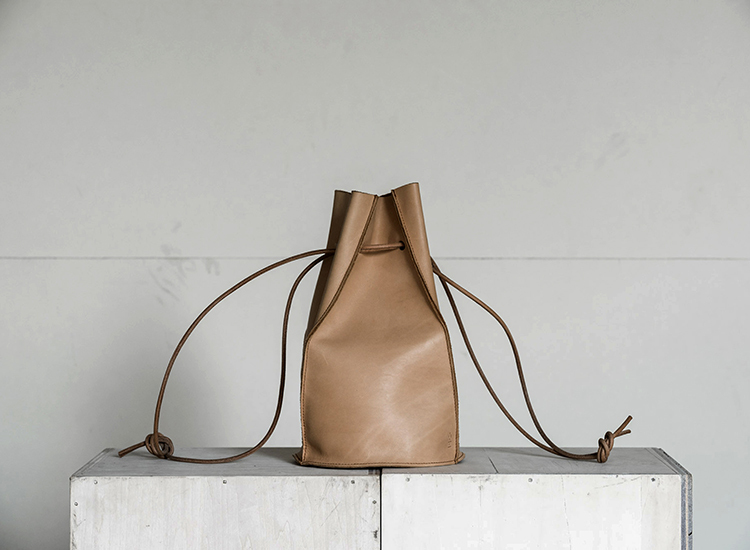 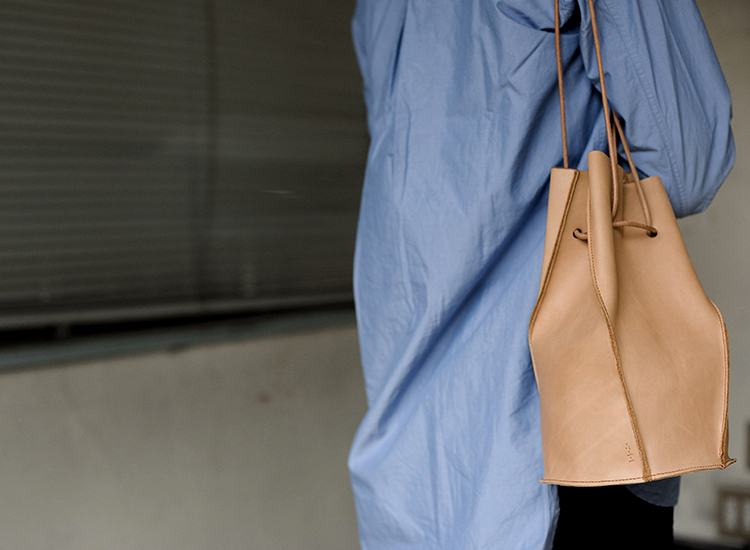 A leather drawstring bucket bag. 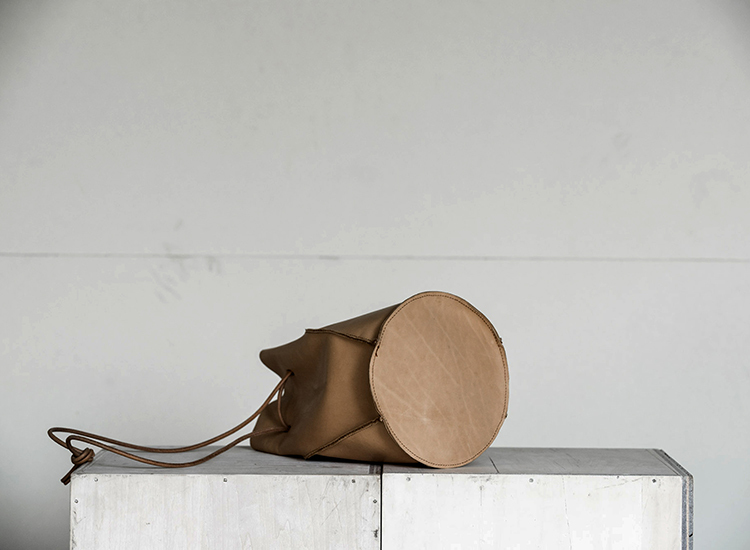 Designed to stand without support - even after ageing - due to it’s trapezoid, cylinder and circle cut pieces. 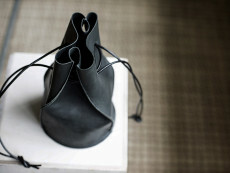 Although the cylinder part looks rigid and formal by pressing open the seams it becomes comfortable. 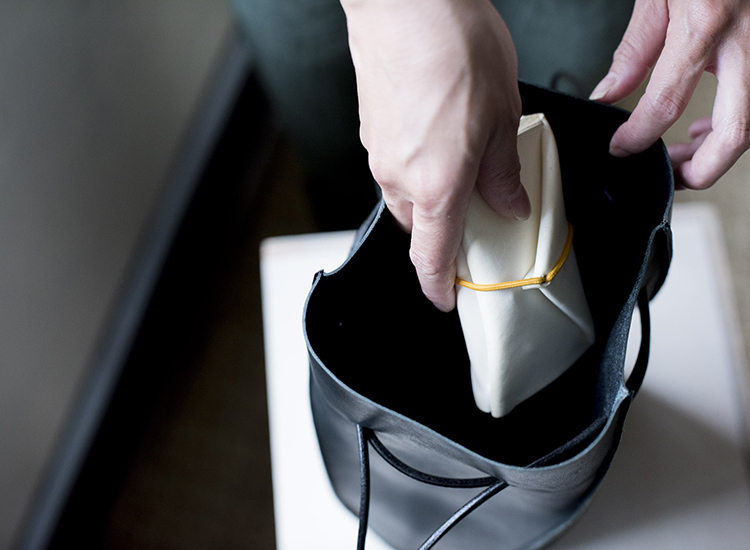 A long wallet, or pouch, can fit in it easily. 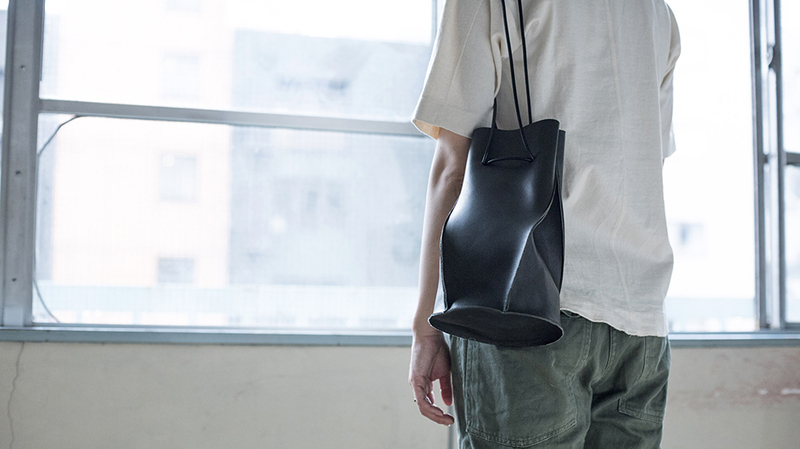 This product doesn’t use any metal fitting or lining.